Our pastors and elders make up just a small part of our team. We believe that every member is a minister and the real heroes are the volunteers who give their time, talent, and energy to passionately serving others. Elder Perry Cheng was born in Mainland China. When he was young, he migrated to Hong Kong. At a tender age of 12, he accepted Jesus into his heart as his Lord and Savior. When he turned 18, God provided an opportunity for him to study college in the US. He met his wife, Evelyn, a true gift from God, while in Columbus Ohio. 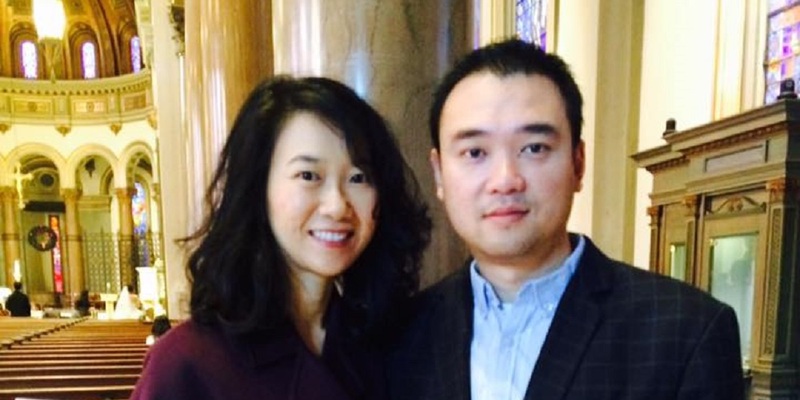 They both graduated from Capital University and served at Columbus Chinese Christian Church for nearly two decades. Perry had the opportunity to serve in fellowships and deaconship for several terms before God called him and his family to relocate to Richmond, Virginia in 2012. After served as a fellowship deacon for couple years, later as the deacon board chair, he was honored to be appointed by Pastor Daniel Chu as one of the elders at GCBCR in 2017. He and Evelyn have three God-honoring children, Benjamin, Rebekah, and Timothy, who also serve at their churches and fellowships. Professionally, Elder Perry is a healthcare administrator of a national company for many years. He is willing to dedicate his life to serve the Lord and currently studying at Southeastern Baptist Theological Seminary. He sees serving brothers, sisters and the Lord at GCBCR as one of the highest privileges in his life. In his spare time, Perry loves playing ping-pong as well as flying drone and taking videos. Born in Chongqing in 1945, Pastor Meng spent his childhood in Taiwan and graduated from Department of Mathematics of Taiwan Chung Yuan Christian University. After two years working as a math teacher, he made the decision to devote himself into serving the Lord and then was enrolled in Taiwan Baptist Theological Seminary. He married his classmate, Sister Shyh-Shyuan Cheng, during his study at the Seminary. After graduation they served God in East Taiwan Baptist Church for three years. 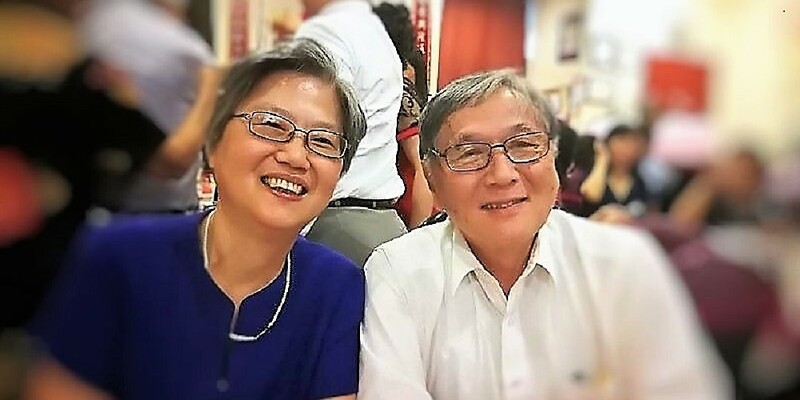 The couple then returned to Taiwan Baptist Theological Seminary as teachers, in charge of teaching courses of New Testaments and Theology, as well as responsible for students life accommodation. During the eight years working at the Seminary, he also served as Pastor in three local churches. 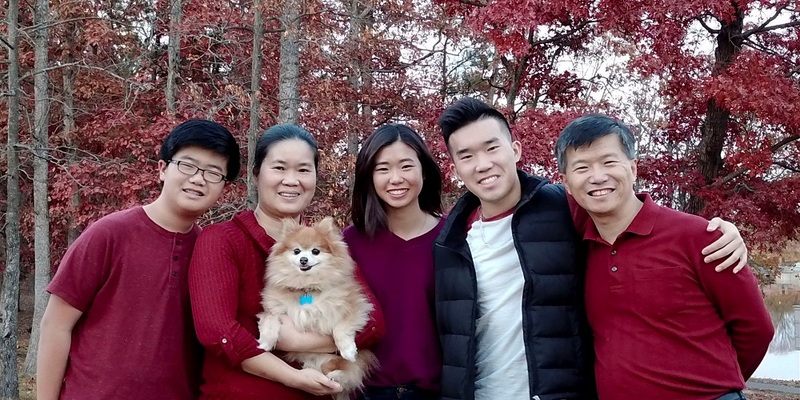 In 1987, their entire family moved to the United States, and Pastor Meng then served as the Pastor at Chinese Baptist Church of Richmond (CBCR) starting in September, 1987. In 2005, the new Grace Chinese Baptist Church of Richmond (GCBCR) was founded and he became the Pastor at GCBCR. Pastor Meng was retired at the end of 2008, and is now serving as an Elder at GCBCR. Elder Li Xiaodong grew up in Shenyang, Liaoning Province, China, and came to the United States in 1990. He obtained his Master’s degree in Electrical Engineering and has worked as a network engineer since. In 1996, Elder Xiaodong accepted the Lord Jesus as his Savior and was baptized. By the Lord’s Grace, we witnessed his spiritual growth in the past twenty plus years. Xiaodong served in various ministries, including Worship, Sunday School, Fellowships, Visitation, Marriage Counseling, as well as Sunday Sermons. Elder Xiaodong also served at the Deacon Boards in both Chinese Baptist Church of Richmond (CBCR) and Grace Chinese Baptist Church of Richmond (GCBCR), as Deacon or Deacon Chair of Finance, Worship, and Outreach. He was appointed as the Elder of GCBCR in 2017. In 2015, Elder Xiaodong answered his Calling and began his study at China Evangelical Seminary North America, and is expected to graduate in 2019. Deeply touched by the greatness of the Lord, Xiaodong is willing to answer God’s calling and serve the Lord full time after graduation. 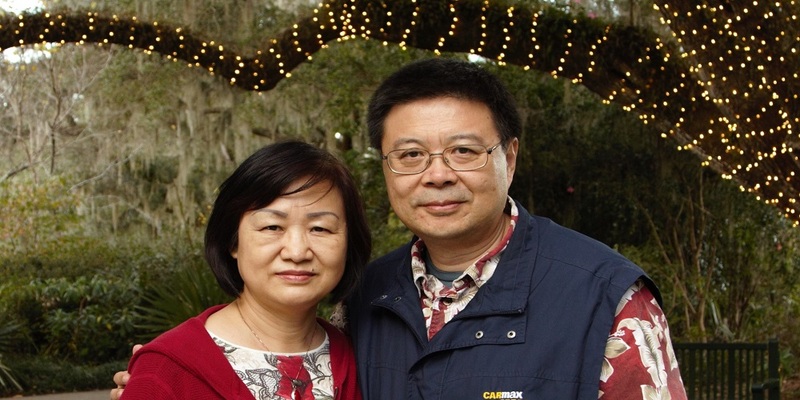 In addition, Elder Xiaodong and his wife, Sister Helen Huang, are the certified leading couple for the Association of Chinese Families for Christ. They have lead dozens of Marriage Enrichment Retreats across the United States since 2011 and have served as The Association’s liaison in the State of Virginia. Pastor Carter Tan is originally from Malaysia and came to Mississippi State University in 1997 to pursue a Bachelor of Science in Electrical Engineering. In college, he met his amazing wife Winnie Wang from Beijing, China who was pursuing her Masters in Chemical Engineering. They have two wonderful children; Aidan Tan and Eliza Tan. After graduating from college, he worked at Capital One Financial Services for more than a decade as a Process Engineer, working on enterprise level process re-engineering projects. In 2010, he resigned from Capital One and answered God’s calling for full time ministry. For the next five years, he pursued a Master of Divinity degree from Southeastern Baptist Theological Seminary, while also serving full time at the International Mission Board supporting missionaries and churches on technical endeavors. Upon graduation from seminary in 2015, he responded to God’s calling to serve as the full time English Ministries Pastor at Grace Chinese Baptist Church of Richmond where he had been a member since 2001. He is very honored and privileged to be able to serve his home church family. During his free time, Pastor Carter loves to watch sci-fi movies and sing in the car with his family. 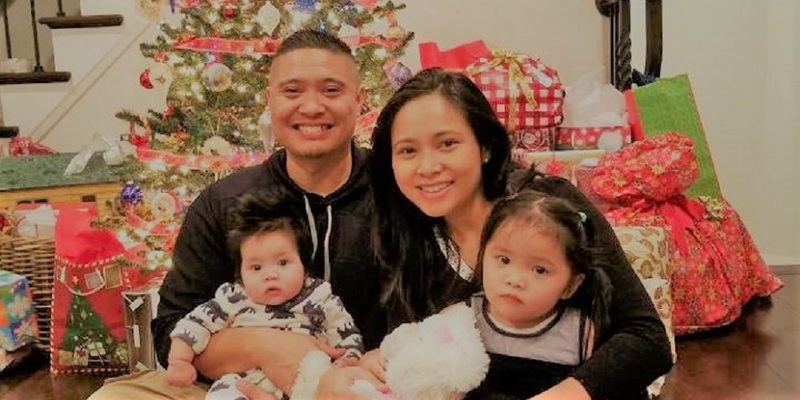 Rommel or better known as “Pastor Ro” Penaranda has been in ministry for 20 years, having served in churches in Maryland, DC, Virginia and the Philippines. He earned his degree in pastoral ministries from Washington Bible College in 2003, was ordained under the Southern Baptist Denomination in 2011, and has received his Masters of Divinity in 2014. He is married to Natalie and has 2 kids, Zoe who’s now 3 and a half, and Knox, who is 1 year old. Loves playing basketball, watching movies and hanging out with good friends.